I'm very thrilled to have reached over 100 followers on my blog. Thank you all for supporting, visiting and commenting! To show you all how much I appreciate every single one of you, I thought I'd do a giveaway! Sound Fun!!! 1. This is a giveaway to thank my followers, you must be a follower of Don't Disturb This Groove to enter. New followers may enter. Just become a follower before entering this giveaway. 2. To enter, leave a comment on this post. Please be sure your email is available through your profile or leave it with your comment. 4. I will let the computer randomly pick the winner. Winner's who I am unable to contact and who don't respond within 48 hours of being sent their winning email notification will forfeit their prize and I will draw another name. Thank you so much for following and Good Luck! 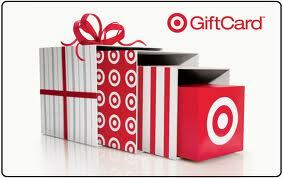 Love target and giveaways. Thanks! Congrats on your 100th follower! I enjoy following your blog! Wow!!! congratulations Brandi, You have a great blog and I think you are a really sweet and fun person. I look forward to every post. I wish you continued success. What an awesome giveaway! Congratulations on 100!I am a follower! Congrats on 100 followers Brandi - that is really exciting!!! Thanks for the chance to win your fun giveaway. Who doesn't love a Target gift card?! Count me in, girl! And congrats on 100 followers! What a generous and fun giveaway! Another, WooHOO! Lovin the Tar-jay! My favorite store! Thanks for the chance to win this awesome giveaway, Brandi! How cool is this Brandi Congrats!!! Im a follower and Im alll in! Congrats Brandi, I'm so happy for you! From my very first visit I knew I had to become a follower, love your blog!! Congratulations Brandi! 100 followers???? That's awesome!!! Great giveaway as well! Congrats on 100 followers and I am happy to say I am one! Your projects are great and I'm sure even more followers will be coming your way soon! Happy 100! OOOO... I want to win! I follow you! Pick me! I'm a new follower! I just found your blog from your link on CSI! Congratulations on reaching 100 followers! Thanks for a great giveaway! A BIG Congratulations on having over 100 followers! Yay! Well done, Brandi. I feel so proud to have been with you from the early days! We don;t have Target over here (booooo!) but I wanted to say CONGRATUALTIONS anyway! I'm a follower! I would love to win. I just happened to stumble across your blog! Fabulous work! I'm inspired! Not sure how I found you, but thrilled that I did! I don't suppose you think that I could glue gun my a cover for my chair? :) I'm a new follower and so happy to be! I will be back! PS-I'm having a giveaway of my own. I would love for you to check it out!! A Target gift card? You can count me in...my all time fav store! idea with the exchanges. After reading the blogs, I gather some amazing ideas to use for my corks, refurnish old furniture, decorating and making more positive changes in my life, personality and house. After this I will work on my blog to get it up and running. I gained a lot of uplifting knowledge today. Keep the creativity flow going.